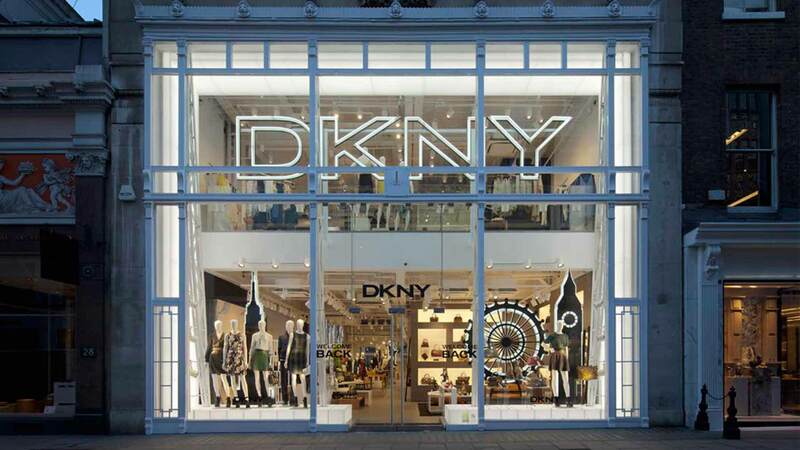 London’s Mayfair is bursting with some of the world’s best examples of lighting and interior design, so we were delighted to work on DKNY’s three-storey flagship store in prime position on Bond Street. 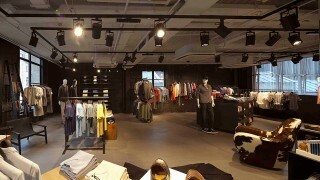 Our aim was to both raise the standard and set the space apart from its competitors through innovative, energy-efficient and unique lighting styles. We’re proud of what we achieved. 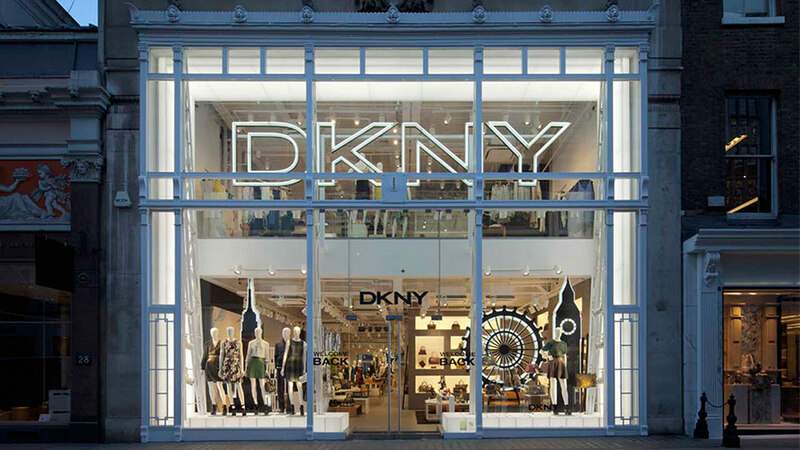 Passers-by can’t help but notice the store, thanks to an illuminated wrap that traces the perimeter of the huge front window, as well as a 20-metre backlit panoramic of New York (the “NY” of DKNY). 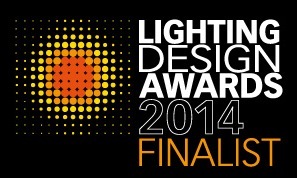 Inside, we bucked the trend for high-contrast light levels and instead opted for softer, more ambient illumination. 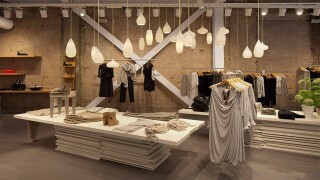 Oversized luminaires were placed on suspended tracks – which kept to the loft-style feel and threw focus on the merchandise. The architectural lighting design scheme consists entirely of LED products – and it’s one of the first high-end retail stores on Bond Street to do so. For DKNY this means a 50% annual energy saving compared to the original lighting system, and an assurance that the design will exceed the ten-year lifetime required in the brief. 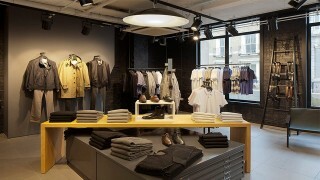 The illuminated goalpost to the entrance and store windows, provided by Duggal. This element creates an impressive feature light portal to the store. 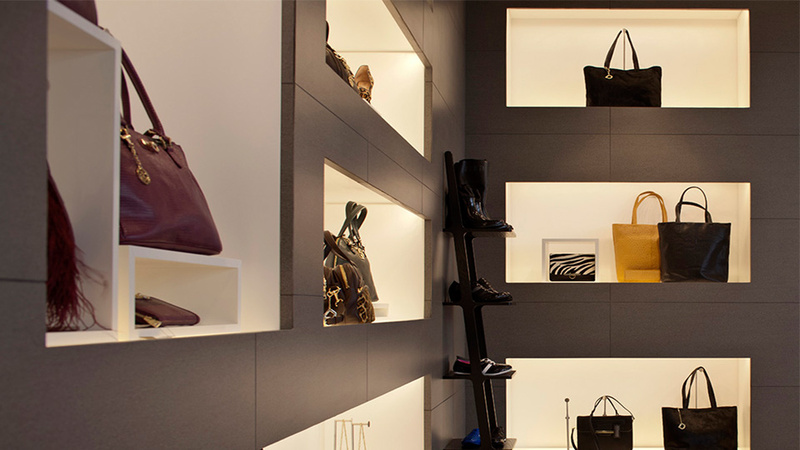 It provides a statement visible from the street and functional illumination of windows.